It is common for people’s tastes to change over time. What is not common is when your sense of taste seems to change overnight, yet it can happen. One such development is when you have a strange, salty taste in your mouth that appears independent of what you are actually eating and sometimes even when you aren’t eating at all. A salty taste in the mouth is a very specific symptom that appears as a result of a few different possible causes. Your options for managing and eliminating the taste will depend on what the underlying cause is. There are many different reasons as to why a salty taste would begin haunting your mouth. Some of the causes are relatively benign, while others are less so. Fortunately, almost all of the candidates come with other associated symptoms that will make it easier for your doctor to narrow down the list. How sensitive your mouth is to various substances depends on how concentrated they are. Fluids dilute chemicals to lessen their taste, and vice-versa. When you are dehydrated, there is less water in your mouth and as a result the chemicals become highly concentrated. This leads to increased sensitivity and greater awareness of the taste, which in this case is salty. Dehydration can come from numerous medical conditions, alcoholism, or simply not drinking enough water. Keep in mind that even if you are not dehydrated, anything that causes dryness in the mouth, from smoking to medication, is capable of provoking a salty taste. Blood has a somewhat salty, metallic taste to it. You likely experienced the taste of blood when you lost your baby teeth or bit your tongue particularly hard. The tongue is sensitive to taste so it doesn’t need to be a large amount of blood, either. This can result in situations where you have a slight bleed, like from the tongue or gums, and don’t realize it. Checking for oral bleeding is fortunately simple. Rinse your mouth with water, spit it out and then check for blood. You may have noticed that you often get a runny nose when you cry. This is because your tear ducts drain into the nasal cavity. The nasal cavity, in turn, drains down the back of the throat, which can result in a light, salty taste. Some individuals can experience mild tear production that drains this way even without actually crying, causing the mystery taste. Tears are not the only thing that can drain in this manner. Following a cold or flu, it’s not uncommon for mucus to drain out through this method as well. This can cause a salty taste combined with a phlegmy sensation. Part of how you taste food comes from your saliva. If saliva production is impaired from a blockage or infection in the salivary glands, you may find yourself with a dry, salty mouth. In a similar vein, a buildup of bacteria can cause a salty taste along with bad breath. This is often a consequence of not brushing your teeth. This is a catch-all term for a distorted sense of taste. Dysgeusia tends to come in either a reduced (hypogeusia) or heightened (hypergeusia) sense of taste. If hypogeusia is the case, then the problem is that your ability to taste non-salty flavors is being muted rather than an extra salty taste being present. Certain cellular changes in the taste buds can cause dysgeusia, along with zinc deficiency or vitamin B12 deficiency. The condition itself is not very well understood on its own, but it appears to be connected at least in part with menopause as older women are more likely to experience it. This is a chronic autoimmune disorder where your body begins attacking the glands that produce moisture. In addition to digestive issues, joint pain, and neurological symptoms, Sjogren’s also results in dryness of the eyes, mouth, skin, and nose. As mentioned above, reduced moisture in the mouth can result in a salty taste. We perceive taste thanks to how the brain interprets signals from the tongue. If something is sending false signals or disrupting normal ones, an unusual taste is not unheard of. Possible causes of this phenomenon are brain tumors, strokes, or paraneoplastic syndrome. Paraneoplastic is another kind of autoimmune disorder that happens as a result of a tumor being present. The tumor secretes substances that cause an immune response. It targets the nervous system, resulting in various sensory difficulties. Additionally, certain endocrine disorders can cause a salty taste and some epileptics report saltiness either before or after suffering a seizure. Normally, stomach acid gets filtered out by the rest of the digestive tract. In cases of gastric reflux, stomach acid and partially digested food can move upwards through the throat. This sometimes results in a surprise salty taste. 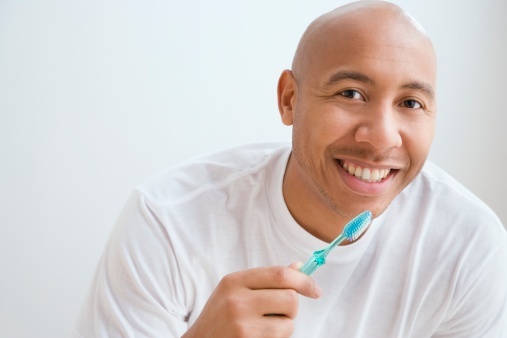 Be sure to brush your teeth regularly to keep bacteria from building. Improve you hydration (this can be as simple as an occasional rinse). Certain substances like acidic or spicy foods can also aggravate your taste buds. Try abstaining from them to see if that helps. If you are taking any medication that lists dry mouth or altered taste as side effects, talk to your doctor about the possibility of switching to an alternate medication. If you suspect your salty mouth is due to a neurological cause, it is additionally important that you consult your doctor for advice or tests. “15 Possible Reasons That Everything Tastes Salty,” EnkiVillage web site, http://www.enkivillage.com/everything-tastes-salty.html, last accessed October 21, 2015. “Home Remedies for Salty Taste in Mouth,” Instah web site, September 8, 2007; http://www.instah.com/ear-nose-throat-ailments/home-remedies-for-salty-taste-in-mouth/. “Salty Taste in Mouth – Causes and Treatment,” ByeBye Doctor web site, http://byebyedoctor.com/salty-taste-in-mouth/, last accessed October 21, 2015.